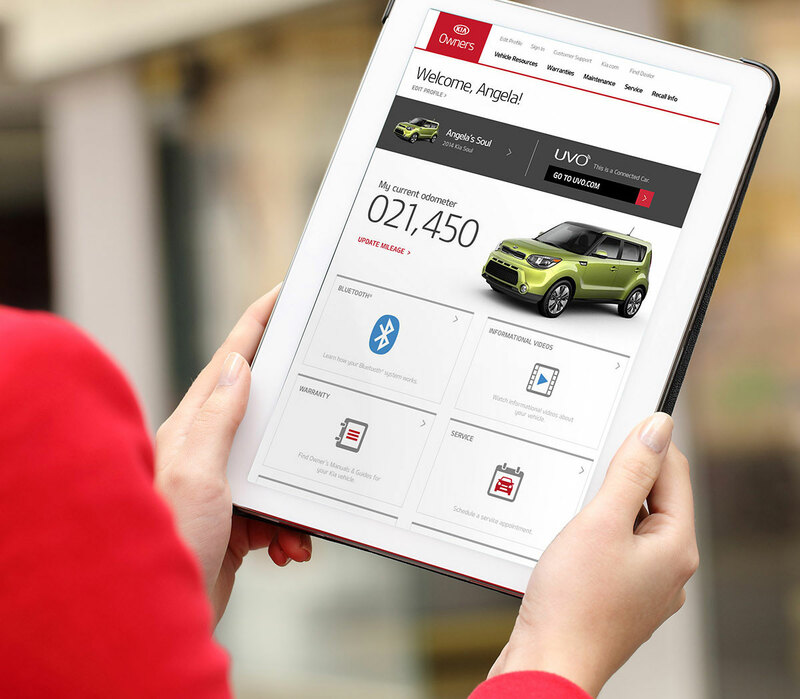 After re-imagining and streamlining the Kia shopping experience, we shifted our attention to the Owners site, which was in a cluttered and confusing state. 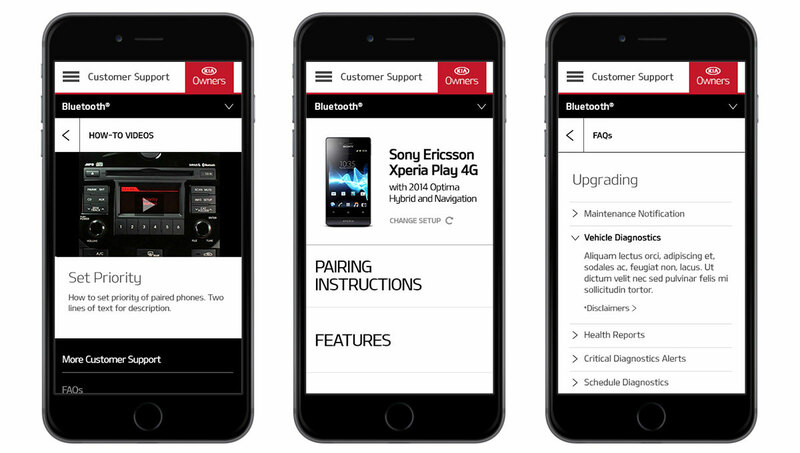 The mobile version and desktop version were in need of integration, and there was a keen interest amongst stakeholders to give the owners site its own brand voice. 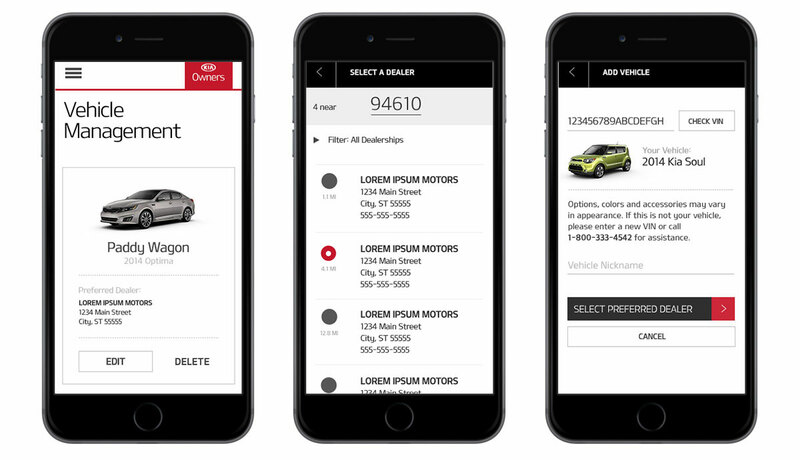 By leveraging the responsive framework established on other domains, our approach was mobile-first as much of the site’s functionality would specifically benefit mobile users, such as road-side assistance. 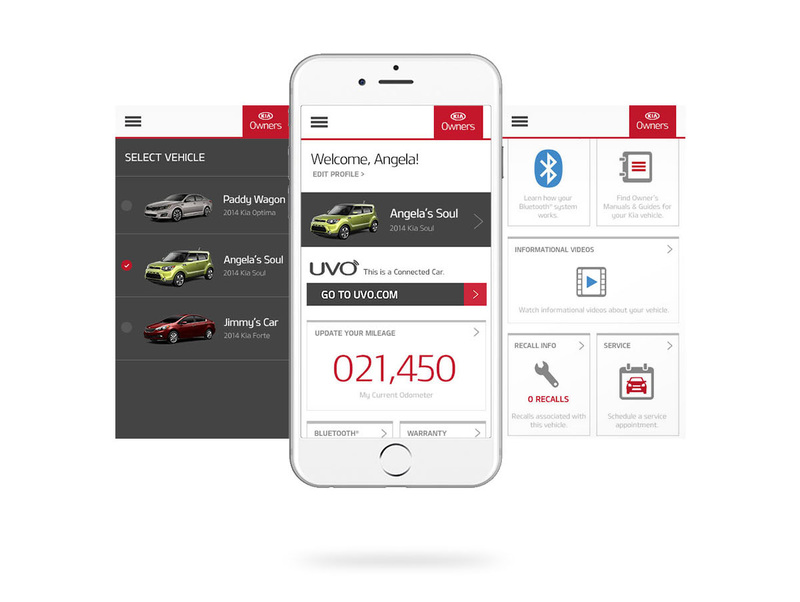 The design system is clean and iconic, referencing many elements of myUVO.com as well as kia.com but also pushing the premium look and feel of the modern Kia brand. The logged out experience features a looping ambient video and a simple login/registration screen. 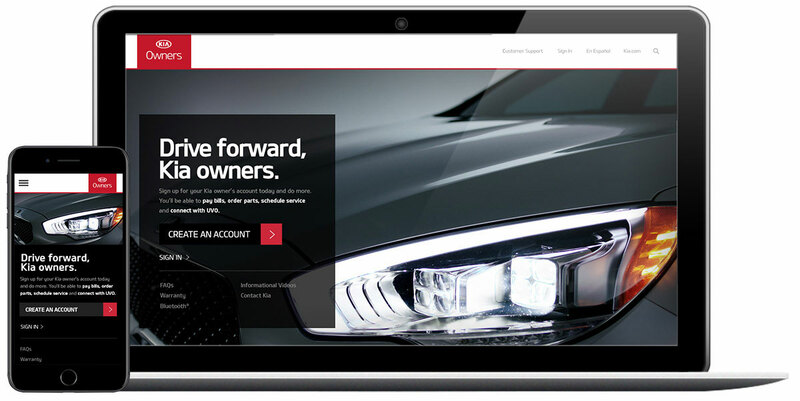 Upon login, the user is personally greeted on the dashboard page where they have easy access to all of the most commonly accessed tools and features of the site. They can also see, at a glace, some of the key metrics regarding their vehicle, or fleet. 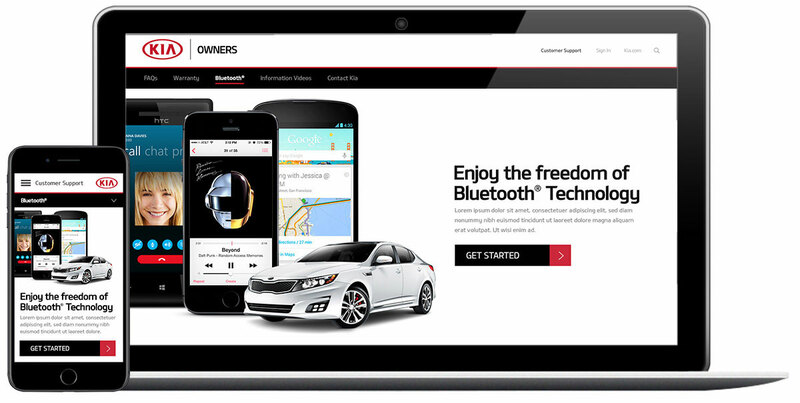 We learned from user data that bluetooth is one of the most underutilized vehicle features due to the complexity of setting it up. We sought to remedy this by redesigning the bluetooth setup from the ground up. Among other new content, we added how-to videos and FAQs. 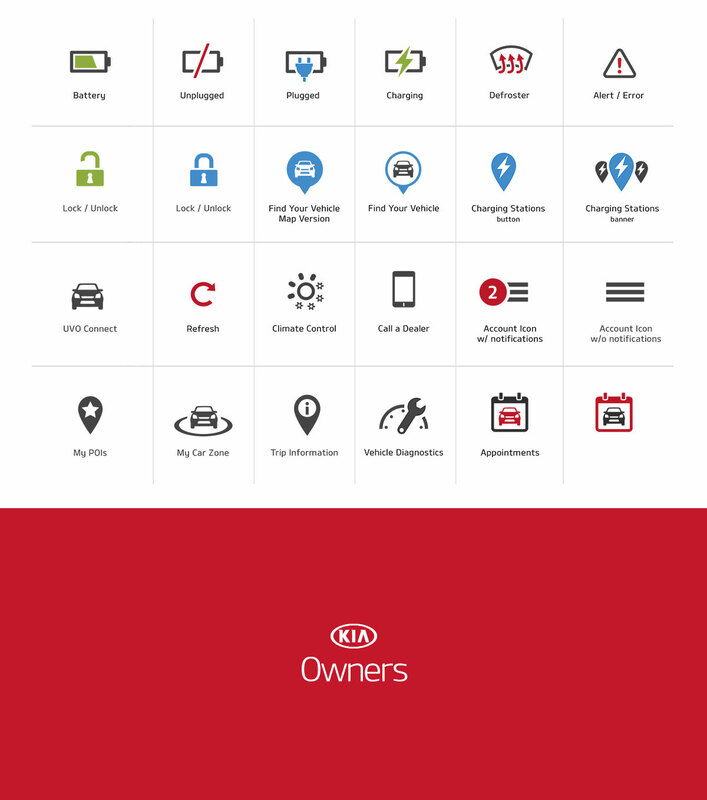 If users have more than one Kia in their garage, or would like to add/delete, or edit any of them, this is where they do it. 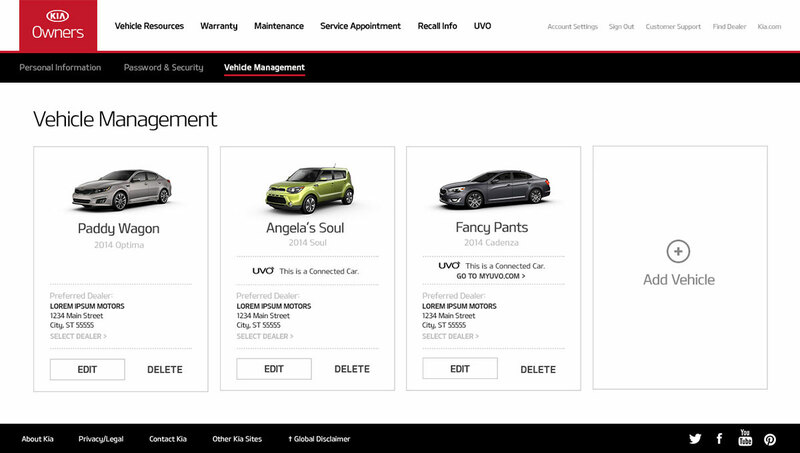 In addition to creating a style guide for the Kia Owners site, we designed several ownable assets including a custom set of vector icons, expanded color pallet, and logo identity.